When you come to a site like Metal For Hire, you look for skillsets that enrich yours. As a musician and renowned author of one of the most formidable books on death metal history; there’s really not much Jason Netherton can’t do. We checked in with to see what he’s been listening to lately, the importance of musician collaborations for the enrichment of the industry and quality of the metal scene, and exactly when in the hell we will be blessed by the new Misery Index album! What have you been listening to lately? Is there a new band that has your attention right now that you recommend MFH readers check out? It’s all over the place, I still have a soft spot for old-school death metal and the scene where I live now (in Finland) is absolutely crawling with lots of great bands, like Corpsessed, Lantern and Solothus, among others like Oranssi Pazuzu, Saimaa and Devenial Verdict. As far as other kinds of music I really dig the new At the Drive In, Nick Cave and Mew. A cool new/old band is also Magna Carta Cartel, from Sweden who play a kind of mellow/ambient rock that is nice on Sunday mornings. When and how did you first hear about the Metal For Hire network? When I was contacted by them to see if I was interested in helping out, and it seemed fun, I already written lyrics for a number of bands as a hire-on, so I thought why not…it’s another way that might help artists pay the bills, and also help other creators fulfill their needs by accessing professionals. What was your first paid vocal recording session and how did you land it? Probably about 10 years ago when I was hired to do a song for a notable death metal band, as a guest spot. As a musician with well over two decades of touring, recording, and songwriting experience; at what point in the career of vocalists do you recommend enlisting the help of co-writers for their projects? I suppose at any point, if someone feels that it is necessary, and need the spark of inspiration, assistance or just want to collaborate with someone in the writing process, why not? It all depends on the creative desires and needs of the individual artist, and I guess that is different for everyone. If you could bring back any musician you wanted to back from the dead to write and record a song with who would it be and what kind of song would it be? Hmm tough one, how about a dream band of former greats? I guess for vocals it would be Keith Deen from Holy Terror if the music was fast, and Ronnie Dio if it was traditional metal. On guitar it would be Randy Rhoads and Chuck Shuldiner, and on bass Cliff Burton. On drums, perhaps Doc from Vader for the fast stuff and John Bonham for the classic stuff. Leading the charge as the founder and frontman in one of the most formidable bands on the death metal scene while simultaneously providing top notch professional lyric writing and session vocalist services is no simple task; In your professional opinion, what are the two most important qualities one must have in order to accomplish such a feat as you have done so seamlessly? I feel humbled by such grandiose statements, and I would say there are many far better than I, but I can only say find what you are good at and do it with all your heart, and create and do what makes yourself happy first, and not what you think others might like and want to hear from you. Back in December the Misery Index facebook page stated that songwriting for the new album was underway, can you tell us anything more about the status of songs on the forthcoming album? It is still very much underway, we are writing and writing with the hope of recording by the end of the summer, and right now we are looking okay for that goal. Fingers are crossed! 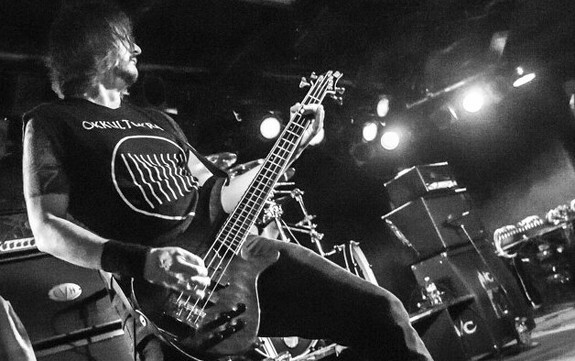 Currently it looks like Misery Index just wrapped up some UK shows. Will we be treated to a return to the states anytime before the new album drops? m is the number one priority. Look for us to be back on tour after the new album drops in 2018.